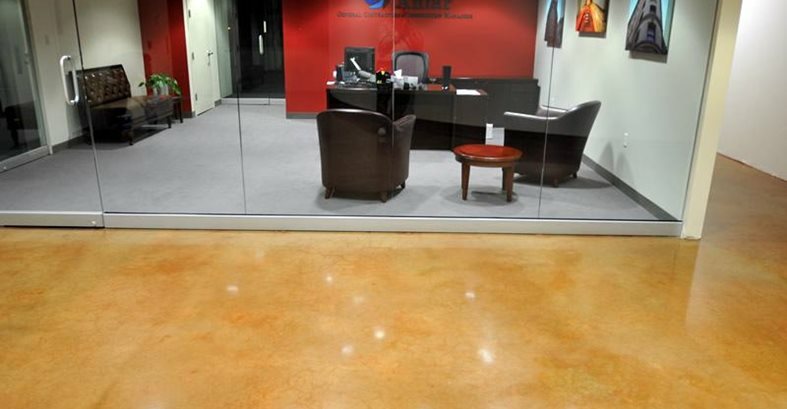 Concrete is a great flooring option for office buildings. 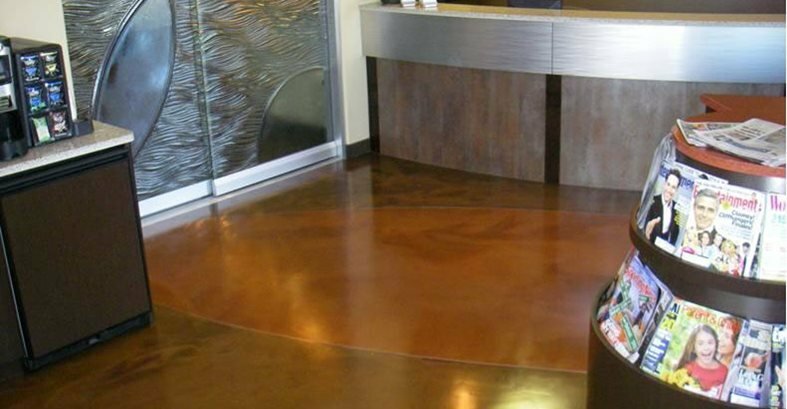 Whether you are looking for flooring for a large, multiple story office, or a small, privately owned business, concrete has many benefits. A number of offices around the country have already made the switch from vinyl, laminates or carpet. Concrete will last longer and look better than these traditional options. 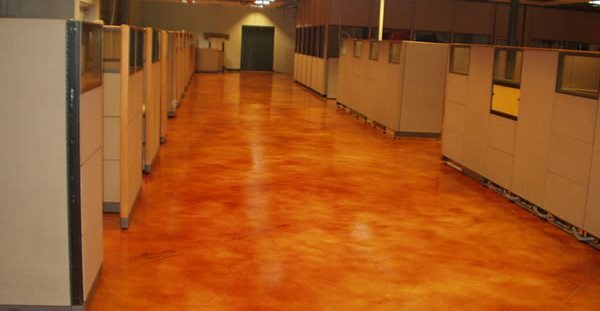 Why should you choose concrete floors for an office? 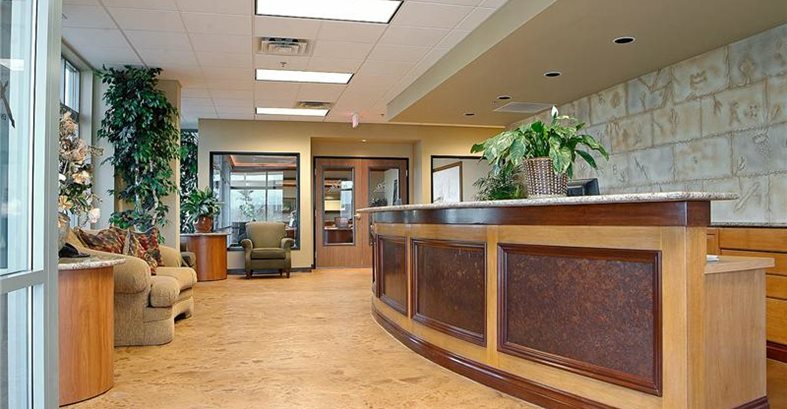 In an office setting it is important that your flooring be attractive and functional. Concrete offers a wide array of finishes and colors and can be made to look like expensive marble or even hardwood. 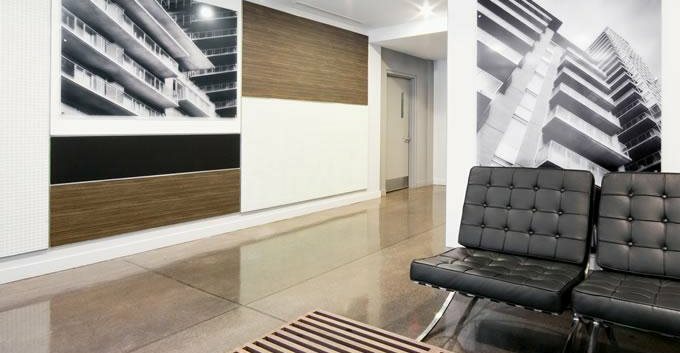 A popular finish for offices is polished concrete, which has high-sheen and is ultra-durable. 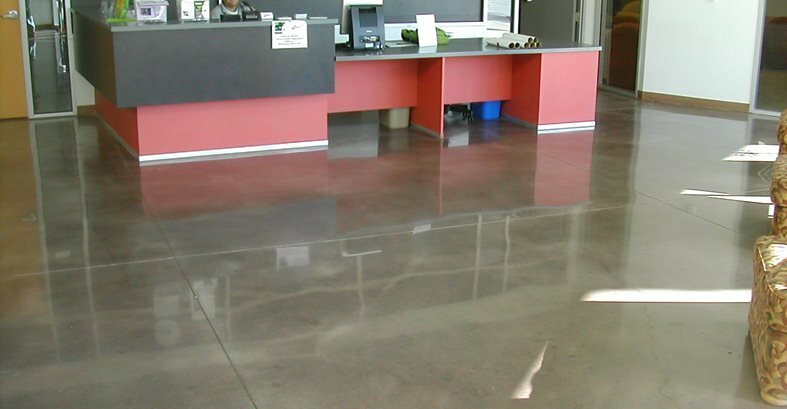 Additionally, concrete floors function well in an office environment. Workers can easily move around their spaces in swivel chairs, especially in comparison to carpet. Additionally, if there is a spill, employees can easily wipe it up. See more polished concrete design ideas. Another benefit of having concrete floors installed is that they can be installed quickly - many concrete installers will work overnight to avoid disrupting business hours. Often the existing flooring in your office building can be removed and the concrete that is underneath used as your new flooring. The contractor will grind the surface free of imperfections or leftover glue and apply the color of your choice. 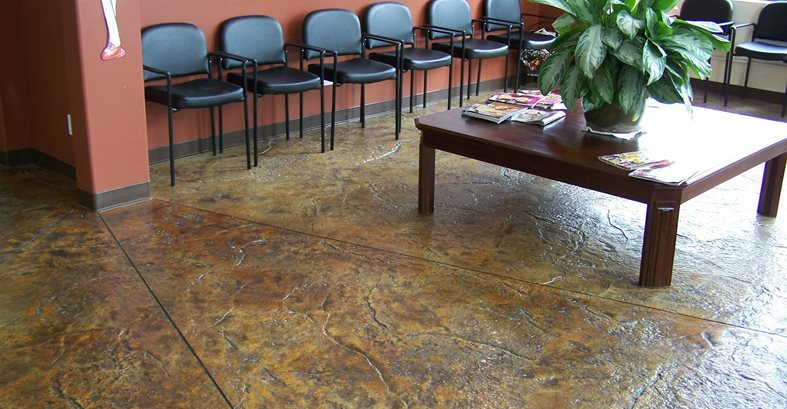 If the concrete beneath your existing flooring is in very bad condition, a concrete overlay can be applied and colored. Will the building be louder because of the echo effect? Will slip-and-fall accidents be more likely? See: Are Concrete Floors Slippery? 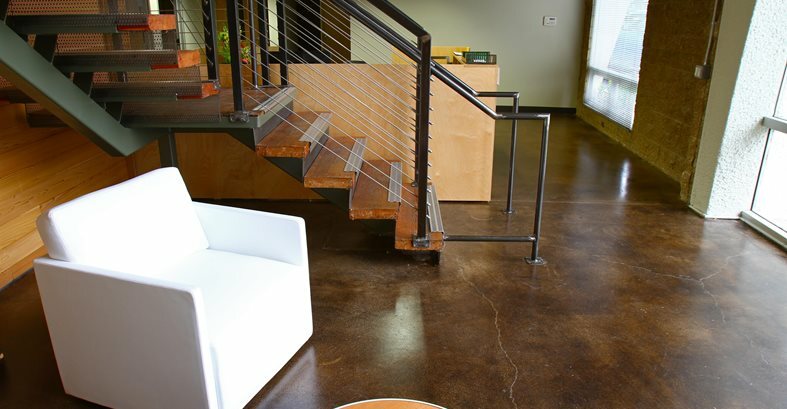 Furthermore, concrete floors can help make your office sustainable. If you are lucky enough to be moving into a new building, consider having a radiant heating system installed in the floors. This is a much more efficient and comfortable way to heat a building than traditional forced-air methods. In some cases, a concrete floor can even help qualify your building for LEED credits (See: How Decorative Concrete Scores Points for LEED Green Building Certification).